First compiler will check for the expression inside the While loop. If the expression result is True then the statement, or group of statements under the while loop block will be executed. If the expression return is False then compiler will come out of the loop and execute other statements outside the while loop. While loop in R will check for the expression at the beginning of the loop. If the expression inside the While is True then it will execute the statements inside the loop. Next we have to increment, or decrements the value inside the R while loop. After the value incremented, again it will check for the expression. 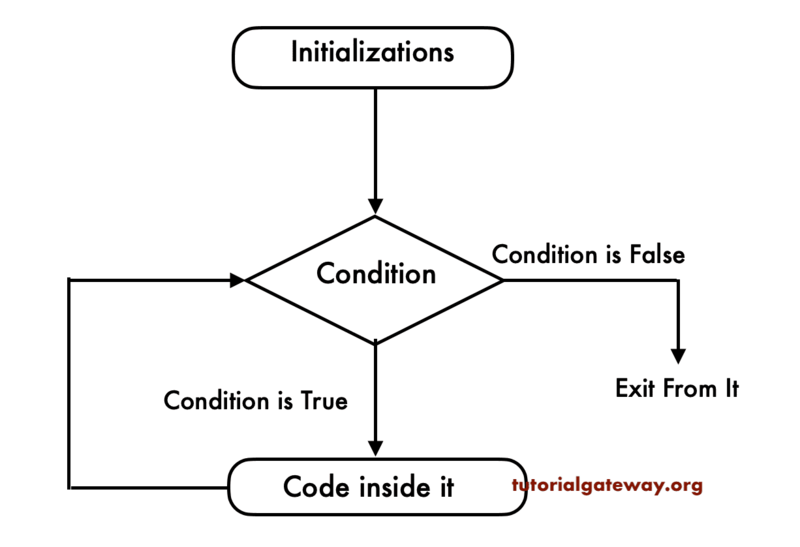 As long as the condition is True, the statements inside the while loop will be executed. This programmer for while loop in r allows the user to enter an integer value. Using this value, compiler will add those values up to 10. Next line, we used the R While loop and the expression inside the While loop will make sure that, the given number is less than or equal to 10. Next, number will be incremented by 1 (number = number + 1). Please refer R Arithmetic Operators article to understand this + notation. Next, number will be incremented by 1. Last print statement will print the total sum of digits present in the given number as output. If you forgot to increment or decrements the value inside the while loop then, R while loop will execute infinite times (also called as infinite while loop). Here, in this R while loop example, number will always be 1 and number is always less than 10 so while loop will go on execute infinite times. 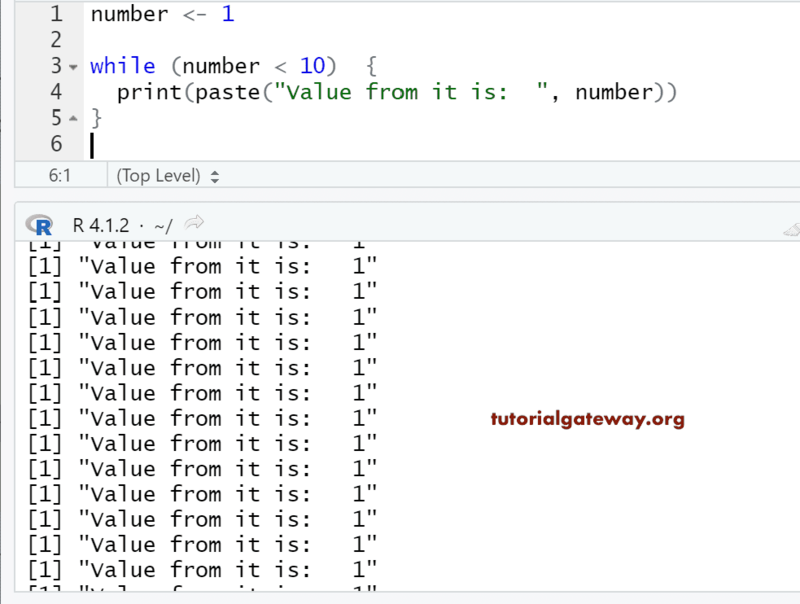 Now, let us add + operator (number = number + 1) inside the while loop to the above example.